2.3 You may not engage in any activity that interferes with or disrupts the Site or the Services (or the servers and networks which are connected to the Site). You specifically agree not to access (or attempt to access) the Site or the Services through any automated means. You may not attempt to access data not meant for you or attempt to bypass any security measures in connection with the Site or the Services or try to obtain access to aspects of the Site or Services to which you are not entitled or attempt to find vulnerabilities in any of the systems used for the Site or the Services. 2.4 You agree that you will not reproduce, duplicate, copy, sell, trade, or resell the Site or the Services for any purpose. You agree that you will not alter or modify the Site or the Services in any way. 2.5 You agree that you will not make use of any of the Services in a manner that is unlawful, harmful to minors, threatening, harassing, abusive, defamatory, slanderous, vulgar, gratuitously violent, obscene, pornographic, indecent, lewd, libelous, invasive of another's privacy, or racially, ethnically or otherwise offensive, hateful or abusive; infringes someone else's patent, trademark, trade secret, copyright or other intellectual property or other rights; advocates or solicits violence, criminal conduct or the violation of any law or the rights of any third party; disrupts, interferes or inhibits any other user from enjoying the Site or the Services or other affiliated or linked websites, material, contents, products and/or services. 2.6 You agree not to use the Site or the Services to perform any illegal activity or for solicitation of any such illegal activity. Such use is in breach of the terms of this agreement and constitutes an unlawful use of the Services hereby provided. 3.1 You acknowledge and agree that eKtab (or eKtab’s licensors) owns all legal right, title and interest in and to the Site and the Services, including any intellectual property rights which subsist in the Site and the Services (whether those rights happen to be registered or not, and wherever in the world those rights may exist). You acknowledge that the Site, the Services, and all Content therein are protected by copyrights, trademarks, trade secrets, or other proprietary rights. 3.2 Without derogating from the rights set forth in section 3.1, all eBooks are the exclusive property of the publisher, author, or other authorized copyright holder, and are protected by copyright and other intellectual property laws. The download of these eBooks is intended for each User's personal and non-commercial use, solely in accordance with the rights granted to such individual User upon purchase or download of the eBooks. Any other use of eBooks is strictly prohibited. You may not modify, transmit, publish, distribute (whether on streaming applications via Internet, intranets and/or other networks or on other content distribution systems or on physical media such as compact discs, digital versatile discs, semiconductor chips, hard drives, memory cards and the like), perform, participate in the transfer or sale of, upload, post, reproduce, create derivative works from or of, display, enter into arrangements with any revenue-generating broadcast system (terrestrial, satellite, cable and/or other distribution channels), or in any way exploit, any of the content of these eBooks, in whole or in part. By downloading eBooks from eKtab, you hereby acknowledge and agree to these terms. In addition to the foregoing, use of any eBooks or products or services relating thereto may be governed any end-user license agreement accompanying such eBooks and/or products or services relating thereto. You acknowledge and agree that eKtab is not liable for any loss or damage you experience due to your use of those external websites or resources, or your reliance on the completeness or accuracy of the services available therefrom. 3.4 You agree that eKtab and/or its service providers own all rights to any trademarks, logos, graphics, service marks, button icons, images, audio clips, digital downloads, and data compilations contained in the Site or the Services, and you understand that all such rights are reserved, and that nothing herein grants you any rights of use to any of the above. These and other graphics, logos, service marks, trademarks and trade dress of eKtab and its licensors may not be used without prior written consent of eKtab and/or its licensors. 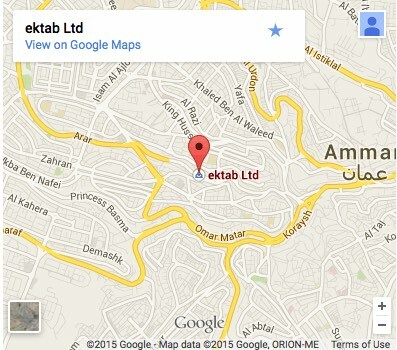 Without limiting the foregoing, no eKtab trademark or trade dress may be used in connection with any product or service that is not eKtab's, in a manner that may cause confusion among Users, or in any manner that disparages or discredits eKtab. 4.1 You understand that all Content which you may view or access as part of, or through your use of, the Services is the sole responsibility of the person from which such Content originated. By accessing the Site or using the Services you may be exposed to Content that you may find offensive, indecent, or objectionable, and that, in this respect, you use the Services at your own risk. eKtab does not censor or edit the Content of any third-party, and has no obligation to pre-screen, review, flag, filter, or modify any third party Content. Furthermore, eKtab does not represent or warrant that the Content of any third party is accurate or complete. 4.2 eKtab reserves the right, in its sole discretion, to reject, refuse to post or remove any posting or other content created (including private messages) by you, or to deny, restrict, suspend, or terminate access to all or any part of the eKtab.com Site at any time, for any or no reason, with or without prior notice or explanation, and without liability. 4.3 In addition, you should be aware that Content presented or available to you as part of or via the Site or the Services may be protected by intellectual property rights which are owned by the third parties who provide that Content. You may not modify, rent, lease, loan, sell, distribute, or create derivative works based on this Content (either in whole or in part) unless you are authorized to do so by the owners of that Content. 5.1 You may create a hyperlink from your website or from another website for which you have the right to do so to the Site; provided that you acknowledge that such right is non-exclusive and revocable by eKtab, and that the link in no way portrays eKtab, the Site, or the Services, in a false, misleading, derogatory, or otherwise offensive manner. 5.4 Furthermore, you acknowledge and agree that eKtab is not liable for any loss or damage which may be incurred by you as a result of the availability of those external websites or resources, or as a result of any reliance placed by you on the completeness, accuracy, or existence of any content, services, software, or other materials on, or available from, such websites or resources. 6.1 In order to be able to purchase and/or download eBooks or make use of many aspects of the Site or the Services, a User must first create an eKtab account. In order to do so a User must provide eKtab with valid credit card information and the User's billing address, and choose and submit a User ID and Password which is acceptable to eKtab. 6.2 The Site and the Services may be used by individuals who are 18 years and older who can form legally binding contracts under applicable law. You represent and warrant that you are at least 18 years old and that all registration information you submit is accurate and truthful. eKtab may, in its sole discretion, refuse to offer access to or use of the Site to any person or entity, and change its eligibility criteria at any time. Individuals under the age of 18 must at all times use the Site and the Services only in conjunction with and under the supervision of a parent or legal guardian who is at least 18 years of age. In such case, the adult is the user and is responsible for any and all activities. Furthermore, in no event may children under the age of 13 post any personal information on our websites. 6.3 You are fully responsible for all activity, liability, and damage resulting from your failure to maintain password confidentiality. You agree to immediately notify eKtab of any unauthorized use of your password or any breach of security. You also agree that eKtab cannot and will not be liable for any loss or damage arising from your failure to keep your password secure. You agree not to provide your username and password information to any person without eKtab's express prior written permission. 6.4 You must keep your account information up-to-date and accurate at all times, including a valid email address. 6.5 You may not transfer or sell your eKtab account and username to another party. 7.1 All sales are binding. You are obligated to deliver appropriate payment for items purchased. No refunds or exchanges are available. 7.2 It is your responsibility to download any eBook you purchase within 24 hours of such purchase (the “Download Period”). eKtab may at times keep the purchased eBook available for download on your "Bookshelf" for longer -- but this is in no way guaranteed or to be relied upon. The risk of loss and title for all items purchased from eKtab pass to the User after the Download Period has expired, or in the event of the purchase of a tangible, mail deliverable item, after the item has been delivered to the carrier. 7.3 eKtab may put a temporary hold on any account while it validates credit card purchases and/or reviews such transactions for potential fraud. 7.4 You may transfer an eBook you purchased to no more than a total of five (5) electronic devices that you own. You may not transfer an eBook you purchased to any device owned by any other individual. You may not transfer the eBook to any electronic device without maintaining all digital rights and the applicable digital rights management solution for that eBook. You may not bypass, modify, defeat or circumvent any of the security features, special rules or other applications that protect any purchased eBook. 7.5 In the event that an eBook becomes unavailable following a transaction but prior to download, (as long as the Download Period has not expired), your sole remedy shall be a refund of the price paid for the unavailable product. 8.1 The price for an item may increase or decrease at our discretion. In the event of a price change between the time an item is chosen by a customer and placed in a shopping cart and the time that the purchase is actually made, the price at the time of purchase shall govern. In the event that an item is priced incorrectly on the Site, then eKtab, at its sole discretion, may cancel the order for such item and notify the User of such cancellation. 8.2 You are responsible for paying all fees and applicable taxes associated with using the Site and the Services. eKtab keeps payment information on file for its own internal purposes and does not commit to having such information available for you in the future. The Site and the Services may be supported by advertising revenue and may display advertisements and promotions. These advertisements may be targeted to the content you access via the Site and the Services. The manner, mode and extent of advertising on the Site and the Services are subject to change without specific notice to you. You agree that eKtab may place such advertising on the Site and the Services. 10.1 YOU EXPRESSLY UNDERSTAND AND AGREE THAT YOUR USE OF THE SITE AND THE SERVICES IS AT YOUR SOLE RISK AND THAT THE SERVICES ARE PROVIDED "AS IS." EKTAB EXPRESSLY DISCLAIMS ANY AND ALL WARRANTIES AND CONDITIONS OF ANY KIND, WHETHER EXPRESS OR IMPLIED, INCLUDING, BUT NOT LIMITED TO THE IMPLIED WARRANTIES AND CONDITIONS OF MERCHANTABILITY, FITNESS FOR A PARTICULAR PURPOSE, LACK OF VIRUSES, AND NON-INFRINGEMENT AS TO the site, the services, and any content appearing on or accessed through the Site or the services, including without limitation, any eBooks and User created content or ANY OTHER ASPECT OF THE SITE OR the Services. 10.2 EKTAB NEITHER WARRANTS NOR REPRESENTS TO YOU THAT: (A) YOUR USE OF THE SITE OR THE SERVICES WILL MEET YOUR REQUIREMENTS, (B) YOUR USE OF THE SITE OR THE SERVICES WILL BE UNINTERRUPTED, TIMELY, SECURE OR FREE FROM ERROR, (C) ANY INFORMATION OBTAINED BY YOU AS A RESULT OF YOUR USE OF THE SITE OR THE SERVICES WILL BE ACCURATE OR RELIABLE, OR (D) DEFECTS IN THE OPERATION OR FUNCTIONALITY OF THE SITE OR THE SERVICES WILL BE CORRECTED. 10.3 ANY CONTENT OR MATERIAL DOWNLOADED OR OTHERWISE OBTAINED THROUGH THE USE OF THE SITE OR THE SERVICES IS DONE AT YOUR OWN DISCRETION AND RISK. YOU WILL BE SOLELY RESPONSIBLE FOR ANY DAMAGE TO YOUR COMPUTER SYSTEM OR OTHER DEVICE OR LOSS OF DATA THAT RESULTS FROM THE DOWNLOAD OF ANY CONTENT OR MATERIAL. EKTAB ASSUMES NO LIABILITY OR RESPONSIBILITY FOR ANY (I) ERRORS, MISTAKES, OR INACCURACIES OF CONTENT, (II) PERSONAL INJURY OR PROPERTY DAMAGE, OF ANY NATURE WHATSOEVER, RESULTING FROM YOUR ACCESS TO AND USE OF THE SITE OR THE SERVICES, (III) ANY BUGS, VIRUSES, TROJAN HORSES, OR THE LIKE WHICH MAY BE TRANSMITTED TO OR THROUGH THE SITE OR THE SERVICES BY ANY THIRD PARTY, AND/OR (IV) ANY ERRORS OR OMISSIONS IN ANY CONTENT OR FOR ANY LOSS OR DAMAGE OF ANY KIND INCURRED AS A RESULT OF THE USE OF ANY CONTENT MADE AVAILABLE VIA THE SITE OR THE SERVICES. EKTAB DOES NOT WARRANT, ENDORSE, GUARANTEE, OR ASSUME RESPONSIBILITY FOR ANY PRODUCT OR SERVICE ADVERTISED OR OFFERED BY A THIRD PARTY THROUGH THE SITE OR THE SERVICES OR ANY HYPERLINKED SERVICES OR FEATURED IN ANY BANNER OR OTHER ADVERTISING, AND EKTAB WILL NOT BE A PARTY TO OR IN ANY WAY BE RESPONSIBLE FOR MONITORING ANY TRANSACTION BETWEEN YOU AND THIRD-PARTY PROVIDERS OF PRODUCTS OR SERVICES. 11.1 YOU ACKNOWLEDGE AND AGREE THAT YOU ARE USING THE SITE AND THE SERVICES AT YOUR OWN RISK. EKTAB DISCLAIMS ANY AND ALL RESPONSIBILITY FOR GOODS OR SERVICES THAT YOU PURCHASE, DOWNLOAD, OFFER, OR SELL THROUGH THE SITE. 11.2 IN NO EVENT SHALL EKTAB, ITS OFFICERS, DIRECTORS, EMPLOYEES, OR AGENTS, BE LIABLE TO YOU FOR ANY DIRECT, INDIRECT, INCIDENTAL, SPECIAL, PUNITIVE, OR CONSEQUENTIAL DAMAGES (INCLUDING LOSS OF PROFIT, LOSS OF DATA, AND COSTS OF RECOVERY), HOWEVER CAUSED AND UNDER ANY THEORY OF LIABILITY. THIS LIMITATION OF LIABILITY INCLUDES ANY LOSS OR DAMAGE RESULTING FROM ANY (I) ERRORS, MISTAKES, OR INACCURACIES OF CONTENT, (II) THE DELETION OF, CORRUPTION OF, OR FAILURE TO STORE, ANY CONTENT AND OTHER COMMUNICATIONS DATA MAINTAINED OR TRANSMITTED BY OR THROUGH YOUR USE OF THE SITE OR THE SERVICES, (III) ANY CHANGES WHICH EKTAB MAY MAKE TO THE SITE OR THE SERVICES, OR FOR ANY PERMANENT OR TEMPORARY CESSATION IN THE PROVISION OF THE SITE OR THE SERVICES (OR ANY FEATURES WITHIN THE SITE OR THE SERVICES), OR (IV) ANY BUGS, VIRUSES, TROJAN HORSES, OR THE LIKE, WHICH MAY BE TRANSMITTED TO OR THROUGH THE SITE OR THE SERVICES BY ANY THIRD PARTY, AND/OR (V) ANY LOSS OR DAMAGE OF ANY KIND INCURRED AS A RESULT OF YOUR USE OF THE SITE OR THE SERVICES, WHETHER BASED ON WARRANTY, CONTRACT, TORT, OR ANY OTHER LEGAL THEORY, AND WHETHER OR NOT EKTAB IS ADVISED OF THE POSSIBILITY OF SUCH DAMAGES. THE FOREGOING LIMITATION OF LIABILITY SHALL APPLY TO THE FULLEST EXTENT PERMITTED BY LAW IN THE APPLICABLE JURISDICTION. 11.3 YOU SPECIFICALLY ACKNOWLEDGE THAT EKTAB SHALL NOT BE LIABLE FOR ANY DEFAMATORY, OFFENSIVE, OR ILLEGAL CONDUCT ENGAGED IN BY YOU OR ANY THIRD PARTY, AND THAT THE RISK OF HARM OR DAMAGE FROM THE FOREGOING RESTS ENTIRELY WITH YOU. By using the Site or the Services you hereby consent to receive communications from us electronically, whether by e-mail or by other means. You agree that all notices, disclosures, agreements, and other communications provided to you electronically satisfy any legal requirement that such communications be in writing. If you believe in good faith that materials hosted by eKtab infringe your copyright, you (or your agent) may send eKtab a notice requesting that the material be removed or access to it blocked. The notice must include the following information (a) a physical or electronic signature of a person authorized to act on behalf of the owner of an exclusive right that is allegedly infringed; (b) identification of the copyrighted work claimed to have been infringed (or if multiple copyrighted works located on the Site are covered by a single notification, a representative list of such works); (c) identification of the material that is claimed to be infringing or the subject of infringing activity, and information reasonably sufficient to allow eKtab to locate the material on the Site; (d) the name, address, telephone number and e-mail address (if available) of the complaining party; (e) a statement that the complaining party has a good faith belief that use of the material in the manner complained of is not authorized by the copyright owner, its agent, or the law; and (f) a statement that the information in the notification is accurate, and under penalty of perjury, that the complaining party is authorized to act on behalf of the owner of an exclusive right that is allegedly infringed. If you believe in good faith that a notice of copyright infringement has been wrongly filed against you, you may send eKtab a counter-notice. Notices and counter-notices with respect to the Site should be sent to: [customer@ektab.com]. 15.6 You hereby agree that any dispute that arises in relation to the Site or the Services, except for claims for injunctive or equitable relief or claims regarding intellectual property rights, shall be exclusively resolved through binding arbitration conducted in London, England, pursuant to International Chamber of Commerce Rules of Arbitration. The arbitrator will be bound by applicable substantive law of England and Wales. Arbitration proceedings shall be conducted in the English language. Any claim shall be arbitrated or litigated, as the case may be, on an individual basis and shall not be consolidated with any claim of any other party whether through class action proceedings, class arbitration proceedings or otherwise. 15.7 YOU AND EKTAB AGREE THAT ANY CAUSE OF ACTION ARISING OUT OF OR RELATED TO THE SITE OR THE SERVICES MUST COMMENCE WITHIN ONE (1) YEAR AFTER THE CAUSE OF ACTION ACCRUES. OTHERWISE, SUCH CAUSE OF ACTION IS PERMANENTLY BARRED.